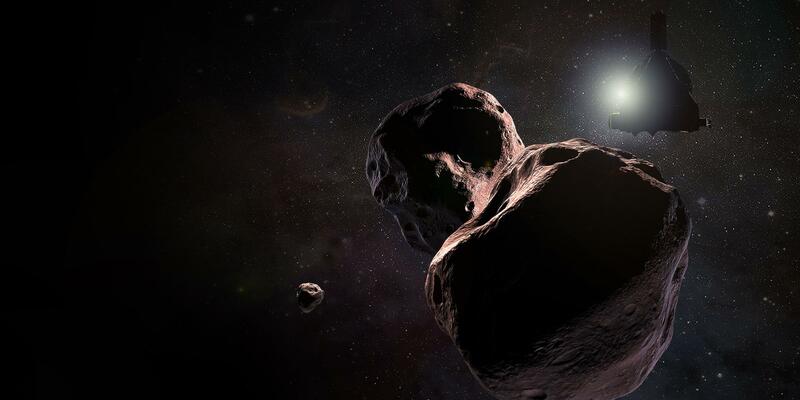 The New Horizons spacecraft has come out of hibernation to begin preparations for its January 2019 flyby of the Kuiper Belt object (KBO) 2014 MU69, nicknamed “Ultima Thule”. The flyby, set to occur in the early morning of January 1, 2019, will be the second for New Horizons, following its historic 2015 Pluto flyby. It will also be the furthest flyby from Earth ever performed by a spacecraft. Initial searches for a post-Pluto flyby target for New Horizons began in 2011, 4 years before its flyby of Pluto. The New Horizons team was aiming for potential KBOs around 50-100km in diameter. At first, only large ground-based telescopes were used in the search but were unable to find any KBOs that New Horizons could reach with its limited fuel supply. Eventually, the Hubble Space Telescope took over the search, and discovered three possible targets for the flyby, given the temporary names “PT1”, “PT2”, and “PT3”, with the “PT” standing for “Potential Target”. PT1 and PT3 were seen as the best targets, while PT2 was dropped due to it being further away from New Horizon’s path than the two others. Both PT1 and PT3 had their advantages and disadvantages. For example, PT1 would require less fuel to get to than PT3, but is likely smaller than PT3. On August 28, 2015, the New Horizons team announced they had chosen PT1 – which was given the temporary name “2014 MU69” – as the flyby target. 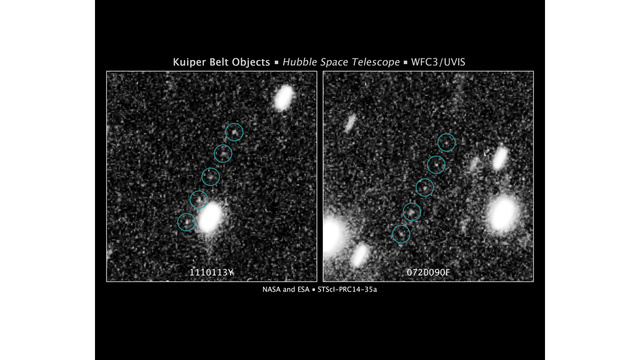 From multiple observations by Hubble and other ground-based telescopes, MU69 was determined to be red, around 30km in diameter, and potentially a binary system. By observing MU69’s shape as it passed in front of background stars – called on occultation – astronomers found that MU69 may be double-lobed – meaning that it could be comprised of two large, connected sections – or a binary system, composed of two similar objects orbiting each other. An example of a binary system is Pluto and its largest moon, Charon. Although they are not the same size, both objects orbit around a barycenter – a point of gravity between the two objects. 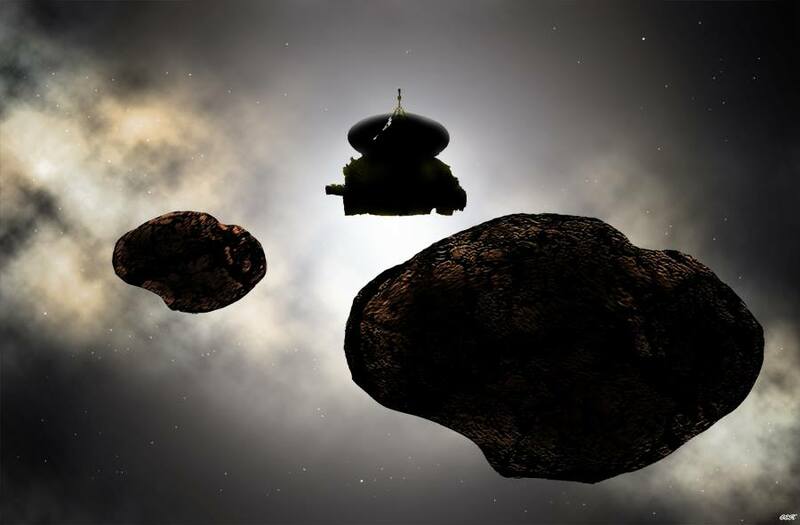 In October and November 2015, four maneuvers were performed by New Horizon’s hydrazine-fueled engines to set it up for a flyby of MU69 in January 2019. In 2017, two small correction maneuvers were performed with the engines in order to further refine the flyby. On March 13, 2018, using public input from online polls and user-submitted names, MU69 was given the nickname “Ultima Thule” by the New Horizons team – meaning beyond the borders of the known world. New Horizons will begin its approach phase of the MU69 flyby on August 16, 2018, when it will begin imaging MU69 and the area around it to begin acquiring data about the KBO and its surroundings. Also, New Horizons will look for potential debris that could pose a hazard to itself, such as moons or rings. Should any potential dangers be found, New Horizons has four planned opportunities to make trajectory changes from early October to early December 2018. The backup trajectory has a distance from MU69 of 10,000 kilometers (around 6,200 miles). Using the backup trajectory would lead to less and/or lower-quality science data gathered due to the probe flying by MU69 further away than planned. The approach phase will last from August 16 to December 24, 2018, after which the core phase will begin. The core phase begins just one week before the flyby and continues until two days afterward. It contains the flyby and the majority of the data gathering. Should all go to plan and the backup trajectory not be used, the MU69 flyby will occur at 5:33 UTC on January 1, 2019, and New Horizons will pass 3,500 kilometers (about 2,100 miles) above MU69’s surface. Following the flyby, data downlink from New Horizons will begin. On January 1 and 2, the most important data will be downlinked, and the remainder will be transmitted back to Earth from January 9 through most of 2019. 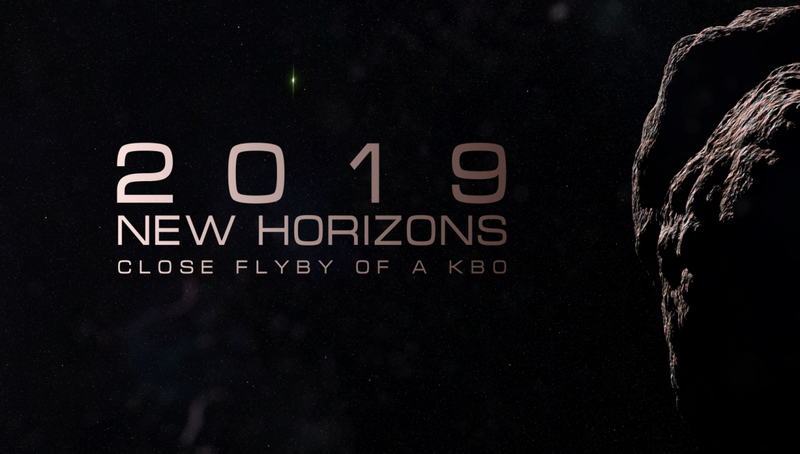 Throughout 2019, New Horizons will also be observing distant KBOs when it is not busy transmitting science data back to Earth. While in hibernation mode, most of the spacecraft is powered down, including the computers and instruments onboard the spacecraft. Every Monday in hibernation, the computers onboard the spacecraft send a quick signal back to Earth confirming that the spacecraft is healthy. A more detailed analysis of the spacecraft’s systems is sent back once per month. Hibernation is beneficial to the spacecraft systems and the team. Since the spacecraft is mostly unpowered during hibernation, the instruments and computers onboard the spacecraft won’t be constantly running, which will lengthen their lifespan. Also, according to New Horizons principal investigator Alan Stern, shutting down the spacecraft’s systems saves operations costs, as resources don’t need to be used to monitor the downlink of telemetry from the spacecraft and checking its systems. Additionally, putting New Horizons into hibernation frees up team members from working on telemetry and monitoring the spacecraft’s health, letting more of the team help plan the flyby and the events leading up to and after it. New Horizons came out of hibernation on Monday and will now undergo an extensive health check, ensuring that all spacecraft instruments, computers and other systems are working properly. When the health check is complete, New Horizons will enter the approach phase. The approach phase will last from August 16 to December 24, during which New Horizons will make preliminary observations of MU69 and continually monitor for any potential dangers in its path. The core phase will follow the approach phase and contains the flyby of MU69. The core phase lasts from one week before the flyby to two days after. Once the flyby is completed, data downlink will begin. According to Mr. Stern, New Horizons may be able to perform one or two more flybys after MU69, and the team is searching for potential targets after the MU69 encounter. New Horizon’s funding currently lasts until 2021, but an extension for that is highly likely, as long as the probe continues to function properly. New Horizons is estimated to be able to function until around 2037, with the main factor being the amount of power the radioisotope thermoelectric generator (RTG) can provide to the spacecraft.